Gewurztraminer was perhaps the less obvious choice of grape in this vineyard and if previous owners didn’t plant any, we would have probably not tried it ourselves. This would have been a serious mistake! 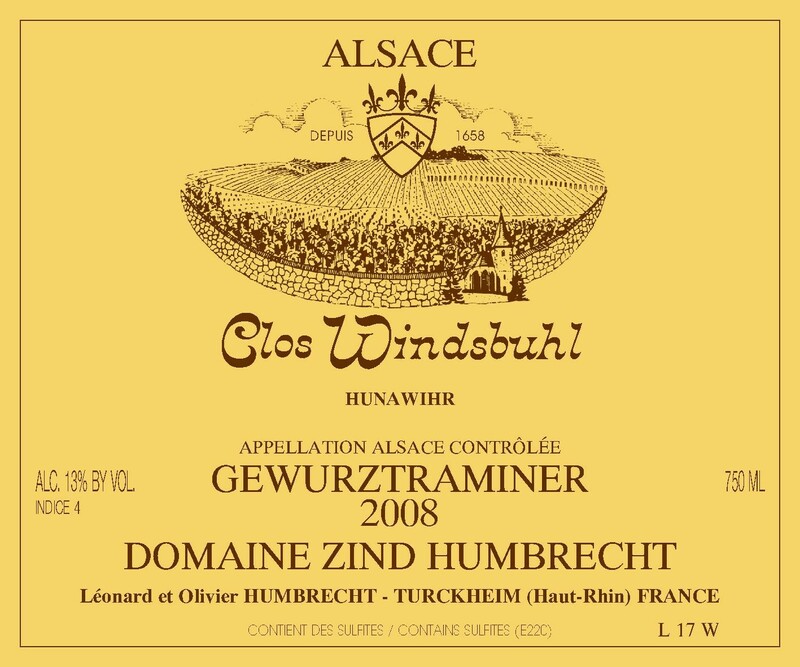 The higher altitude and much cooler climate of the Windsbuhl seems prohibitive to the cultivation of Gewurztraminer, which enjoys some more heat and sunshine later in the season. The secret is certainly to wait until the ripening process is completed, and of course, work with the right massal selections. (Unfortunately, most vines planted with clones in the 80s had to be pulled out). The aromatic expression and balance of the wine is completely different from the PG or Riesling from the same vineyard, but the influence of the Windsbuhl is the same: there is always a great delicacy and elegance in the Windsbuhl wine, which cannot just be explained by numbers. The 2008 shows a little influence of noble rot which associated with the fact that it was harvested late explains the slower fermentation and higher sweetness.